This week was the 7th anniversary of our family, so the Lucky #7 has been hot on my mind! I tried to come up with the best things we’d done and seen over our last seven years, but only came up with oodles and ooldes of subcategories. So, in honor of that beautiful day, I had the privilege of saying “I do,” here is our very first Mommy Vegas’ Hot 7 List! Don’t worry, there will be more! 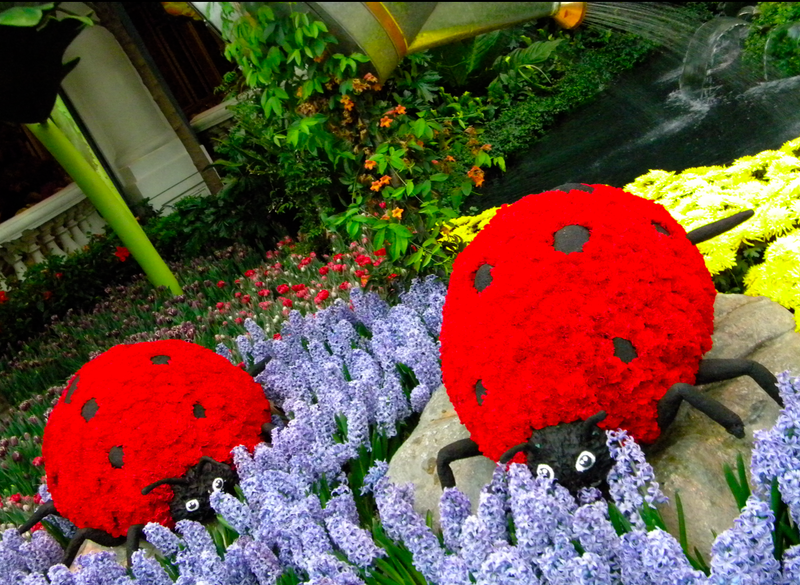 Bellagio Fountains and Conservatory – Dancing water, great music, beautiful flowers to excite the senses, a huge chocolate fountain, who could ask for anything more? One of the best parts of this beautiful property is the easily accessible parking structure, the location of which allows you to completely avoid the smoky casino if you are only headed to the Atrium and Fountains (simply exit via the main entrance near the front desk and cruise down the ramp to the left). See our previous post here! 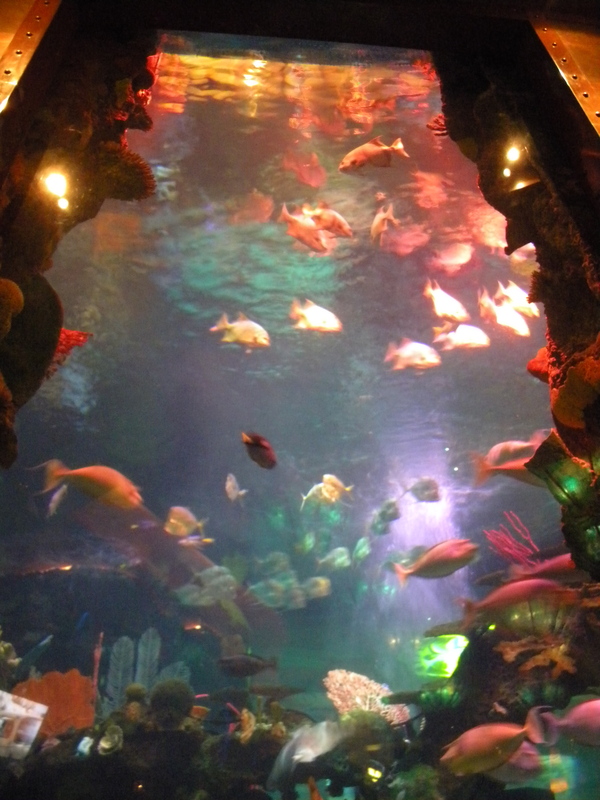 Bass Pro Shops and Silverton Aquarium – The Silverton Aquarium is truly amazing as huge fish bowls go. We love to grab a bite to-go and sit tank-side for a picnic with the fishes. The little ones are bound to make a few finned friends! Check out their website for days and times to take in their free interactive fish feeding and mermaid shows. Once you’ve had your fill of fins, tour Bass Pro to get up close and personal with animals from around the world, granted, they’re not particularly interactive, but you are unlikely to find such an extensive collection for free viewing! For a more detailed post and some free printables click here. 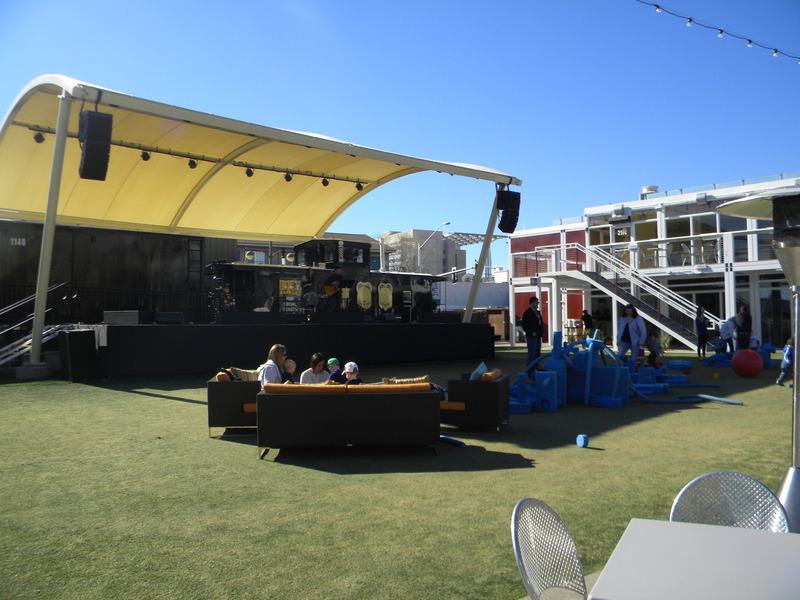 The Container Park – Live entertainment, over-sized blocks, a huge treehouse and a fire-belching preying mantis, and that’s just the free stuff! Spend a couple bucks and enjoy some diverse and tasty fare, or even do a little shopping. Clark County Wetlands Park and Visitors Center – This may be our favorite spot, but its riding a little lower on the list because it is a little farther from the rest of the action. This hidden oasis is unknown to most tourists and a good deal of locals, but nestled at the far East side of Tropicana there is a rich riparian area that’s simply teaming with wildlife, and much much more! You won’t have to look far for helpful, knowledgeable volunteers and staff, seemingly endless walking, hiking and biking trails, and a beautifully curated visitors center with plenty for little hands and eyes to explore. Check out a detail post here! 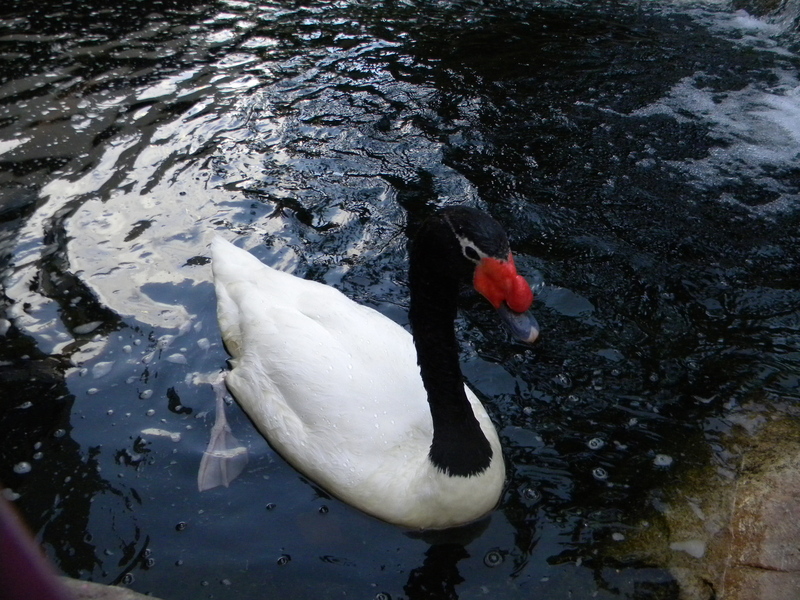 If you have preschoolers, you won’t want to miss Nature Tykes! You can see more on that here. 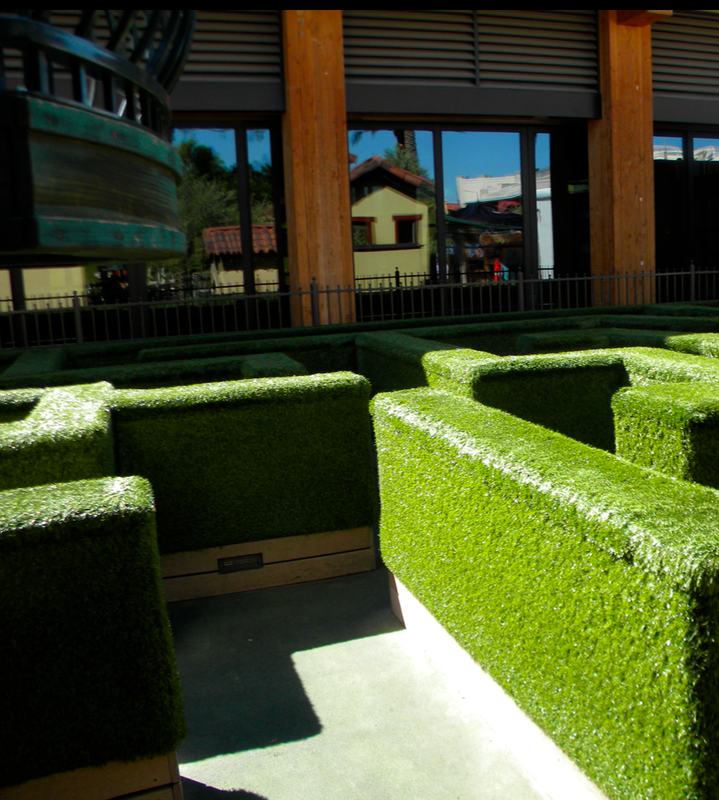 Town Square – Why not get lost… and found, at the Children’s Park at Town Square?! The entire property is a nice place to spend a few hours, or even the day, from the Whole Foods Market, abundance of restaurants and various anchors and specialty shops (there are really too many amazing stores to list, you just have to check it out), to the movie theater, GameWorks, and adjacent Fry’s Electronics (for those of you into exploring the various themes of Fry’s nationwide… if you don’t do this already, it’s totally worth looking up Fry’s in every city you visit). Sorry for the “squirrel! moment”, now back to the freebies! In the center of Town Square you’ll find Children’s Park with several tree house play structures, a hedge maze, kid’s stage where your kids can put on the impromptu production of their choice, restrooms and drinking fountains, and a seasonal water feature. There are no food or drinks allowed in the play area, but have no fear, there is a perfect place to picnic in the grassy area right outside the gates. For us, no trip is complete without a quick trip to the nearby Teavana to test the latests samples and grab an iced drink to share. Forgot a picnic? 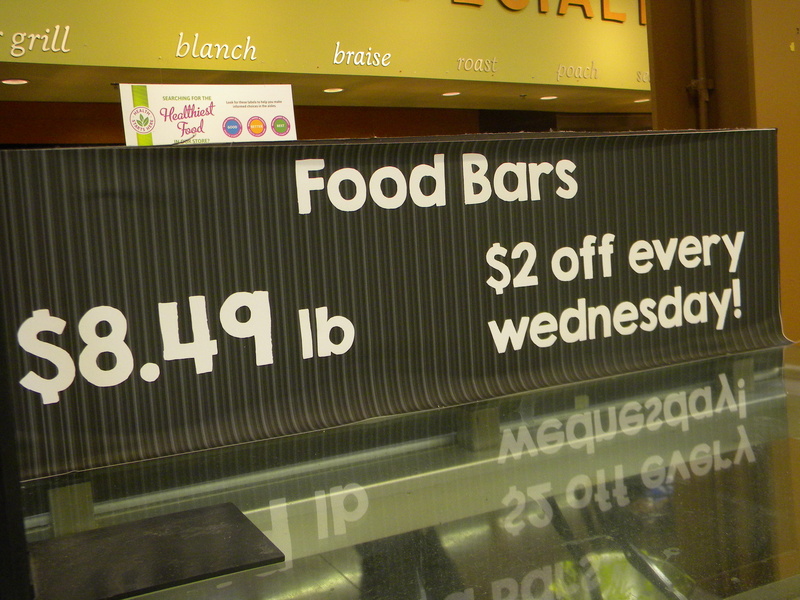 There are plenty of walk-up vendors in the park area, or venture down to Whole Foods and grab a little something to bring back and share… particularly on Wednesdays! 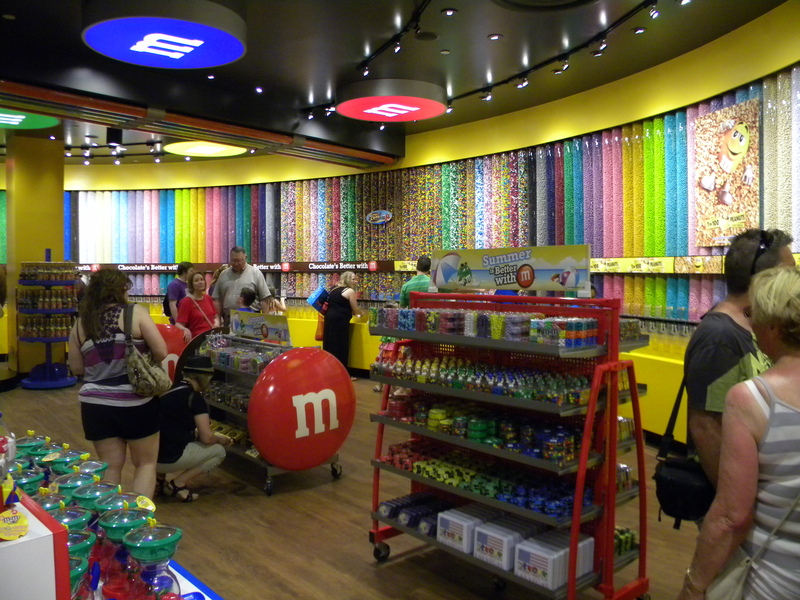 M&M World Store and Free 3D Movie – 4 levels and 28,000 sqft of rainbow chocolatey fun. This place is amusing even if you’re not into the candy-coated treats. You can tour free and watch the movie for free, but will you be able to resist the urge to use their one-of-a-kind M&M printer? You can seriously print your very own custom M&Ms! That may be a worthwhile souvenir, granted, they may not last long for some! 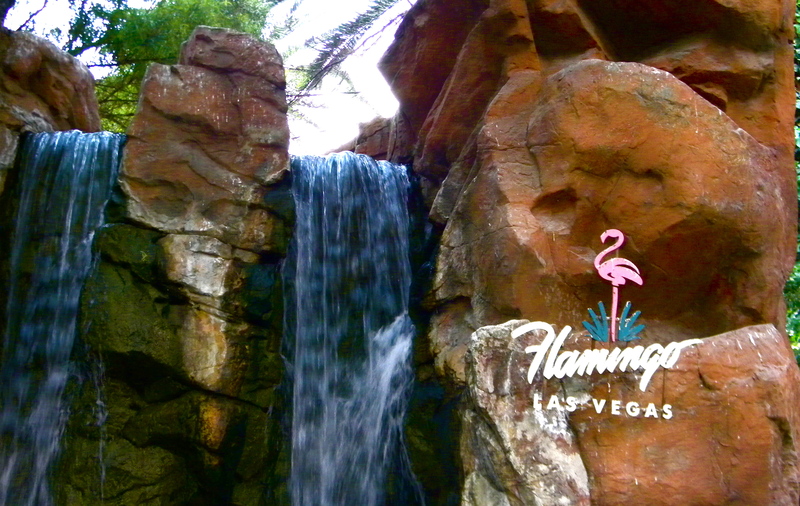 Wildlife Habitat at Flamingo – Though relatively small, the courtyard of the Flamingo has a hidden sanctuary full of exotic birds, turtles and fish. While most would expect flamingos to make an appearance, you may be surprised at the diversity of this lush hideaway, including pelicans, various wood ducks, ibis, parrots, coy, swans, and much more. Ethyl M. Chocolate Factory Tour and Tasting – Take the free self-guided tour and see the factory at work, then taste the wares! What’s more, their incredible cactus garden features over 300 species of plants, making it one of the largest demonstrations of desert plants in the state. Free chocolate is fun year round, but the scene is extra fun around the Winter Holidays when you’ll find the cactus garden all gussied up in lights, and Santa and his elves standing by for personal consults and photos. New in 2015, around Valentine’s Day the garden is dressed up in love for a romantic evening stroll through the glowing cactus display. Check their website for other seasonal events! Fremont Street Experience – A few years ago, Fremont Street would have been higher on my list of family fun, and it’s still a kick for a fun adult outing. But while the skyline is consistently appealing, and there are oodles of fun vendors, performers, ziplines, and cheap fun eats, the characters only get more “colorful” or rather, less colorful and more, um naked, as night falls. I don’t mind the people watching, but I choose to avoid the long conversations with the kiddos and feel many parents may feel likewise, if not more strongly. So if you find yourself kid-less, this is a super amusing place to enjoy live music, cheap food, 12.5 million synchronized LED lights, street vendors and who knows what else. That being said, it is possible to have a great time with kids in tow, just avoid going too late. It gets progressively busier and more scandalous after the first showing. So check the seasonal schedule (click “download schedule” for best results) and try to get there early to avoid some of the crazier less family-friendly antics. Sunset Stampede at Sam’s Town – The Sam’s Town atrium is home to Mystic Falls, the location of the Sunset Stampede Laser Light and Fountain Show, that happens daily starting at 2 pm and reoccurs every 2 hours until 10 pm. This show is fun though a bit campy, it is best suited for younger children, particularly toddlers, preschoolers and younger elementary school children. For a more detailed description and a fun printable click here. Strolling the Strip – While this is a must for visitors, we forget as locals how amazing it all is! Go enjoy the Strip all over again, right around sunset. The kids will love watching as the lights just start to go on. For a little added fun make a game of it, see if you can guess where some visitors call home… why not ask and see if you guessed correctly? Too shy to engage a stranger? Why not have a scavenger hunt. Form two teams (or more if you have a bigger group) and make a list of crazy things to find… we used to do this in high school with disposable cameras, but why not use your camera phone to share and compare your finds over ice cream or coffee when you’re done! Looking for a more simple hunt, here’s our Letter Hunt our little reader and emerging reader love! Gilcrease Orchard– It is free to enter the orchard, but you pay for the fresh Vegas grown produce you pick by the pound. As I’ve never left without spending a few bucks this beautiful old farm, located on the far Northwest side of town, didn’t make the freebie list, but if you’re looking for an inexpensive way to spend the day, it’s totally worth the drive for locals (or visitors that are looking to get a more diverse Vegas experience). While you’re there, don’t miss out on the delicious farm fresh favorites like peanut and almond butters, honey, cider and various other seasonal treats. Here is one of our earlier posts featuring the orchard! Really fun reading about all the LV places for families. I miss the strip and Ethel M’s! !